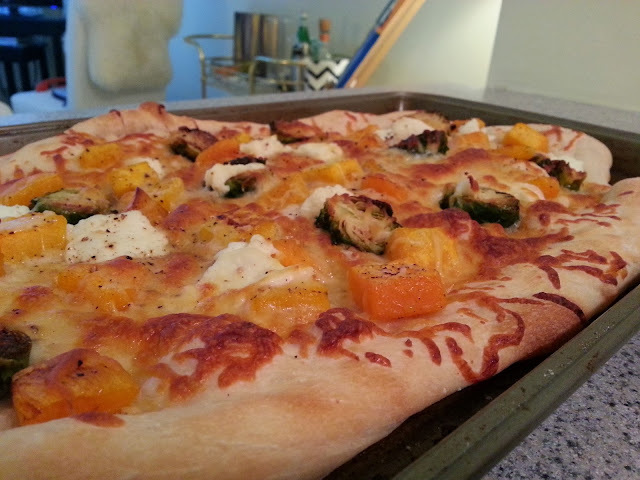 I came across this recipe from Martha Stewart for a Roasted Fall Vegetable and Ricotta Pizza and since I'm obsessed with pizza and roasted vegetables I needed to give this a try. Many of you know that pizza is a main food group in my diet so I frequently buy the fresh pizza dough from Trader Joe's for an easy weeknight meal. What I loved about this recipe is you can modify it to include some of your favorite vegetables (onion, carrots, potatoes, brussels sprouts, butternut squash, tomatoes, peppers, mushrooms). 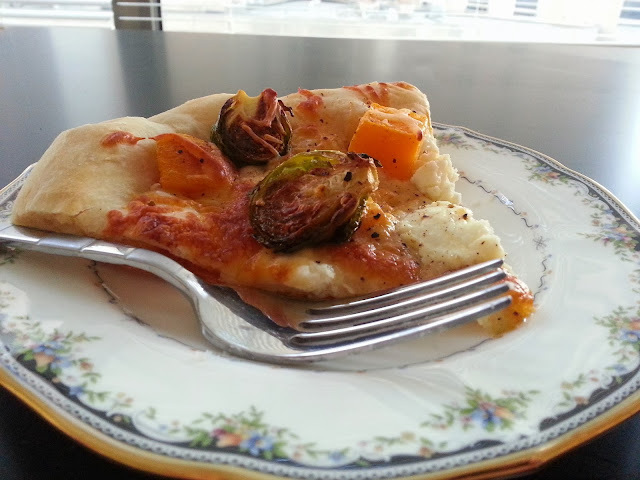 The ricotta was also a nice touch for adding a little extra creaminess to the pizza. Preheat oven to 450 degrees F. Place vegetables on rimmed baking sheet (lined with tin foil or parchment paper for easy cleanup). 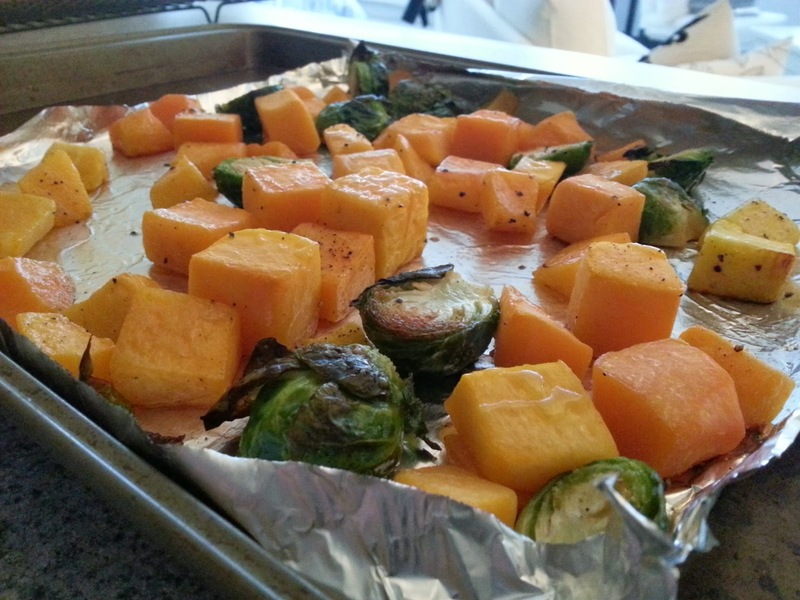 Divide the vegetables evenly on the baking sheet and toss with olive oil, salt and pepper. Roast until the vegetables are tender (around 30-40 minutes) tossing them and rotating the baking sheet halfway through. Preheat oven to 350 degrees and brush a large baking sheet with olive oil to insure pizza dough doesn't stick. On a lightly floured surface roll out the pizza dough to fit on baking sheet. Sprinkle dough with half the mozzarella. Scatter the room temperature vegetables on top, dollop the ricotta, and sprinkle the remaining mozzarella on top. Drizzle with olive oil and season with salt and pepper. Bake until bubbly and golden (around 25 minutes). All of my favorite things in one dish-- love it!